24.10.2017. Georgian Wine Club, country's leading professional organization, has published article on SapPrize in Georgian language. Read original text here. 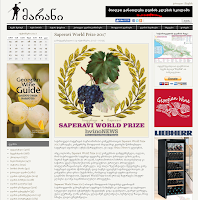 We are pleased to inform that Georgian Wine Club has become an official partner of Saperavi World Prize.